Advantage Basketball Camps Comes to Australia! This is a list of 2019 camps currently scheduled for Australia. Please scroll down to view the current list. We may be adding new location/camps and will post them here as soon as they are confirmed. Please do not call and ask if a camp is coming to your area if you do not see it below. Feel free to send an e-mail and ask about camps in your area if you wish. 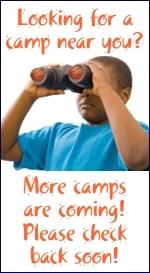 We have three types of camps: Basketball Shooting, Ball-Handling, and "Specialty Camps". The Specialty Camps are an advanced camp covering a wide range of topics from defense to offense, court awareness, shooting and more. Specialty camps will only happen over Winter and Spring Break each year.